At XEX, we constantly strive to provide our customers with the highest quality services and exceptional customer service. Our name comes from Feng Shui. Two “Xs” mean lucky. The “E” means good energy. We work to ensure that the salon is a calm, relaxing environment so that our clients can enjoy the best experience possible while they are with us. Your feedback is always appreciated. Below are some recent comments from our clients. If you would like to share your experience at XEX, we invite you to post a review on Google +, Facebook, or, if you are a Yelper, on Yelp. “I got my first haircut @ XEX from Luis today. I love it!!! He took the time to listen & to make sure I was happy.” – Rozy L.
“This was my first visit to the salon. Ashley cut my hair exactly as we discussed. Perfect! Very Happy! Great service, friendly staff and great prices. What more do you want? Try it out! You will not be disappointed. Thanks XEX & Ashley for a wonderful experience.” – Taireez N.
“My friend and I came in on Saturday to get our hair done and I can’t tell you how happy I am with my new style!! A big thanks to Jessica for an awesome new haircut!! !” – Helen M.
“If you’re looking for the perfect cut and color, I can’t say enough great things about Kourtney. Also love the great customer service by all.” – Ashley K.
“I just wanted to say thank you John Harris. Once again I walk away a very happy customer. I love love love my new cut. You are a true artist.” – Danielle W.
“Friday business is booming at XEX, thanks to super-friendly staff, salon owners who care, and talented stylists like Nina who know exactly what to do with thin hair. What a great find!” – Daphne B. “Megan is a sweetheart and did such a great job with my mangled hair! 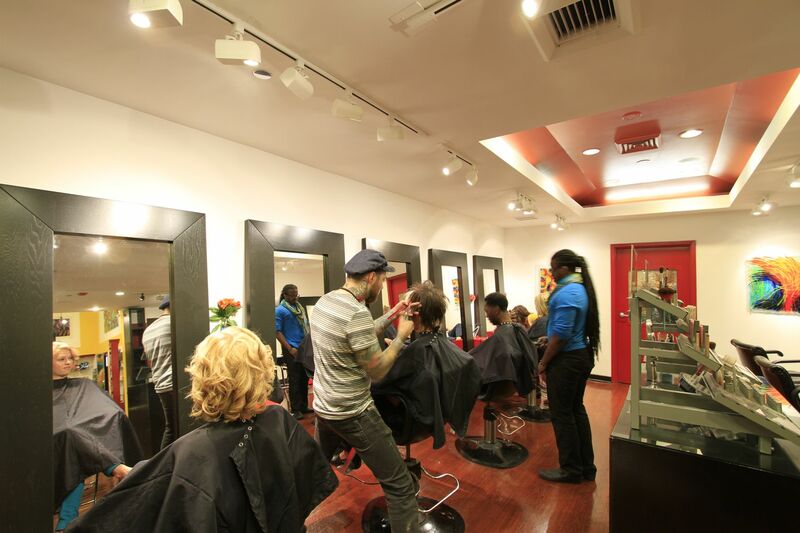 Thanks guys!” – Malissa G.
“Had the best haircut today at XEX Hair Gallery with co-founder David Perry. Seriously, my hair has never looked longer or healthier.” – Lois M.
“Was in Chicago for a 2.5 day meeting and decided to find a place to have my hair done. So glad I found XEX and made appointment with Georgia! Love the highlights and cut. :-). Told my husband in about 6-8 weeks we will need to take a long weekend in Chicago so I can come back.” – Annette K.
“Friendly, fun and just a great place. I highly recommend it. I am seeing Gary. He is so talented even I look good, so imagine what they can do for you.” – John K.
“TJ always does a great job, never rushes and always listens to what I’m looking for. Everyone at XEX is always so accommodating!! !” – Phyllis E.
“I stopped in last week for a haircut with Barbara. She was amazing!!!! I explained that I wanted to grow out my over layered bob and she really took her time on me before she started cutting. She cut all my layers even and my hair looks fuller now. It is shorter but at least it is all the same length and it will look nice once it starts growing in.” – Sarah L.
I can’t say enough great things about Kortney!I’ve struggled with hairstylists in the past and she puts them all to shame. She did a fantastic job with my subtle ombre and cut- exactly what I wanted! To top it off, she made me feel right at home with a glass of wine and great conversation. I will keep coming back!